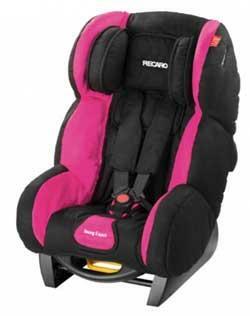 The expert for safe driving - RECARO Young Expert. The RECARO Young Expert lets you relax, at least when it comes to driving with a child. This universal child seat fits almost any car and features a large side-protection shell, with absorbing materias that provide extra protection on side impact. It is also very easy to handle.